Developed in the former United States Naval Base, Subic Bay in Zambales, and situated in the heart of the Subic Bay central business district, the Subic Leisure World Incorporated formerly the Subic Bay Golf and Country Club developed a 105 hectare leisure park that is surrounded by nature activity resorts. 20 hectares of this leisure park, is still undeveloped and is eyed for a potential real estate development and business establishments. 85 hectare of the 105 hectare land is occupied by a golf course, the Subic Golf Course. The 6,747 yard, 18 hole golf course is a Par 72 course that is a full of challenges and surprises. These challenges and surprises are a product of the architectural dexterity of the renowned English golf course architect Desmond Muirhead. 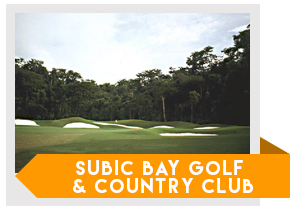 The Subic Golf course offers a variety of challenging layouts which surprises the golfers that play it for the first time. However these surprises comes with the beautiful views of old gigantic trees, beautiful sceneries and other nature surprises. The location of the course is also perfect as a vacation destination, retirement sanctuary and a residential golf community. The golf course will test every golfers’ physical fitness and their playing abilities through the various roughs, hazards, and traps laid throughout the course. The edges of the forest or jungles areas are considered the roughs of the course. A lot of water hazards and over 70 sand traps are scattered all over the course. There are also small greens, dog-legs and several out-of-bounds areas on the course that makes the Subic Golf Course even tougher. Hole number 11 is the most challenging hole. It is a hole that needs an uphill climb, which makes it a viable handicap 1. If you’re a newbie in the game? 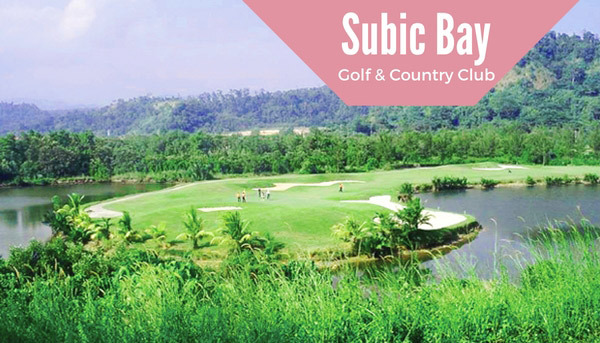 Subic Golf Course also offers Golf lessons and additional amenities and utilities are also offered such as driving range, tee houses, pro shop, restaurant, lockers and showers. To get there, it will take around 2-3 hours from Manila and taking the NLEX or SCTEX is highly recommended. The course is only 4 kilometres away from the SBMA gate, taking the public transportation will take longer and using private transportation is advisable.